It’s important to keep your digestive system chock-full of probiotics to promote a healthy digestive system. Probiotics are bacteria that help your body digest food and access the minerals it needs. 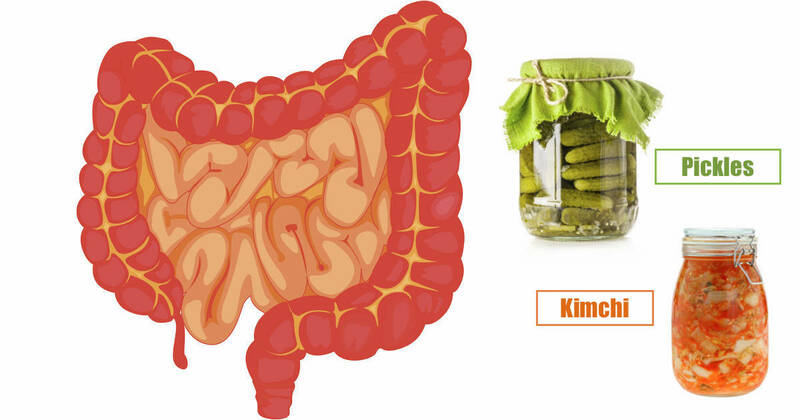 Here are 10 unconventional probiotic-rich foods to try if you want to strengthen your digestive health. Sliced and fermented cabbage contains more probiotics than most over-the-counter supplements. Researchers have deduced that in a 4-6 ounce serving of sauerkraut(1) there are more than 10 trillion bacteria just waiting to cleanse your digestive tract of pathogens and replenish the flora in your gut. Keep in mind that homemade sauerkraut produces far more probiotics—so take some time to learn how to make it yourself. When black tea is fermented with any kind of sugar, it produces kombucha—a clumpy beverage rich in b-vitamins, enzymes, and of course probiotics. This drink contains four different probiotics, including the famous lactobacillus found in yogurt. Researchers have stated that kombucha possesses the properties of “detoxification, antioxidation, energizing potencies, and promotion of boosting immunity.” That sounds pretty promising! This undersea wonder is packed with vitamins and nutrients as well as probiotics. With zero carbs, lots of protein and lots of phytonutrients, spirulina is one of the best superfoods out there. It features amino acids omega-3, which promote prime brain function. Your favourite sushi dinner staple is more than just a salty appetizer. Miso(2) is made from grains and fermented soybeans. Its fermentation process includes a starter called koji, which often contains a probiotic microorganism called Aspergillus oryzae. Miso can be produced with other bacterial cultures as well, sometimes taking three years to fully ferment. When made with 70% or more pure cocoa, dark chocolate becomes very healthy and can benefit your digestive system. It is sometimes fortified with probiotics. Researchers have stated that certain microbes in your gut allow an otherwise indigestible portion of chocolate to be transformed into anti-inflammatory compounds. Dark chocolate will also fortify your diet with antioxidants. When lactic acid bacteria meets cabbage and other veggies, out comes kimchi(3). 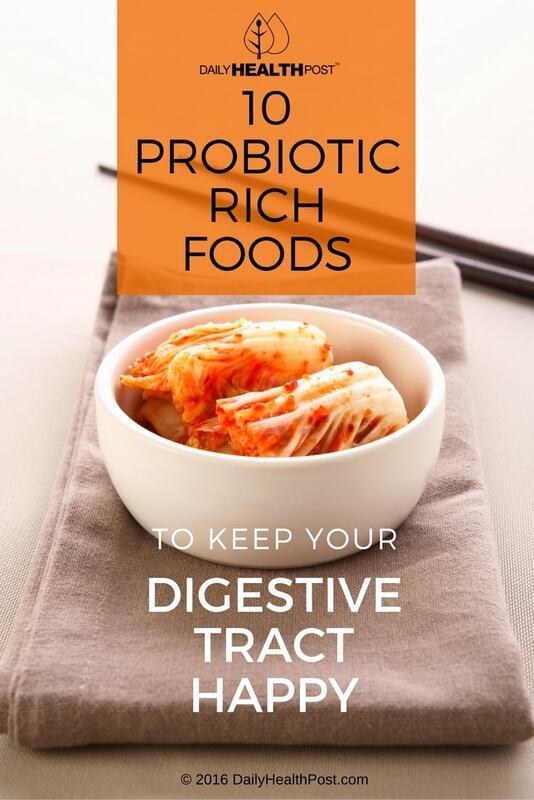 These bacteria contribute to kimchi’s probiotic health benefits, which include the eradication of unhealthy pathogenic bacteria. Kimchi is regarded in general as a superfood; it has many health advantages that have been found to include decreased risk of cancer, constipation, and obesity. Homemade pickles made using lacto-fermentation are a fun way to get in some extra probiotics. Brave the unknown and try making your own—we promise they’ll be delicious and great for your microbial health. The fermentation process used here will also act as a great natural preservative of your finished product. While not a probiotic itself, red wine(4) encourages probiotic bacteria to grow and flourish in your digestive system. As such, it is classified as a “prebiotic.” Along with foods such as beans, berries and apples, red wine promotes the growth of the healthy bacteria Bifidobacterium and lactobacillus. Red wine also contains antioxidants, so its prebiotic status is simply one more reason to sip on a glass now and then. The use of ginger to help soothe ailments is thousands of years old. It has been said to help alleviate fever, nausea, coughing and pain. Used to make homemade ginger ale, it is also—you guessed it—a source of probiotics! This sweet drink can become alcoholic when the fermentation process is extended for weeks on end, it is easy to make a non-alcoholic version of the beverage. The lactobacillus in sourdough(5) contributes to the production of lactic acid and diminishes the presence of phytic acid in your digestive system. This results in smoother digestion and greater availability of minerals. Another way that sourdough aids the digestive process is through its relatively long preparation time, which results in gluten being broken down into amino acids. Fermented foods are good for you! Incorporate more of them into your health by setting up shop at the kitchen table and making your own delicious snacks. You won’t regret it when you’ve kicked back for the night with a jar of tasty sauerkraut in hand. Whenever you can, incorporate probiotic foods into your regular diet. Let us know which probiotic foods are your faves.